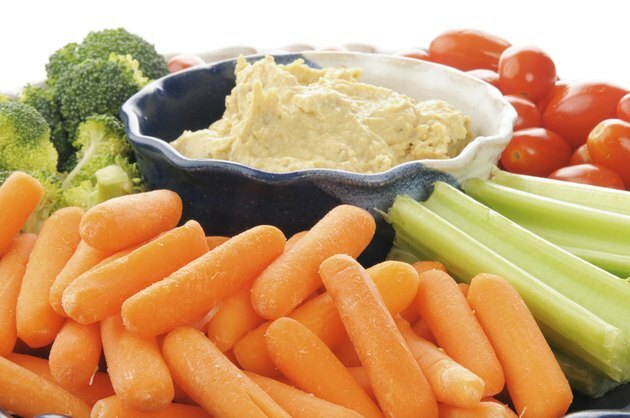 When you eat the baby carrots or celery sticks off the veggie tray at parties, you pat yourself on the back for choosing healthy options. For the most part, you can eat vegetables raw and can even obtain the most nutritional value in this manner. In some cases, however, some raw vegetables should be avoided, not so much for their taste but because they may be dangerous to your health. 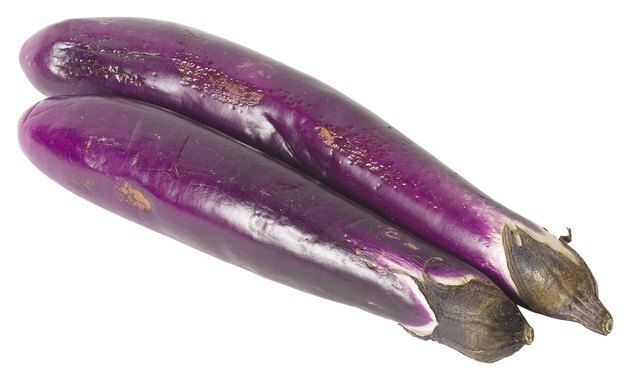 Eggplant contains the compound solanine, which inhibits the absorption of calcium. Initial characteristics of solanine poisoning are primarily nuerological and gastrointestinal. Common symptoms are vomiting, cramping of the stomach, nausea, headache, dizziness and diarrhea. If you consume raw eggplant and experience any of these symptoms, you should immediately seek medical attention. Cooking eggplant will neutralize solanine. 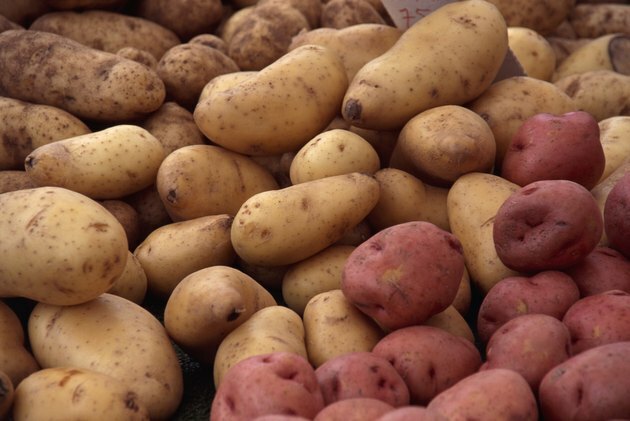 Potatoes, like eggplant, also contain solanine. A useful indicator of the amount of solanine present in potato tubers is the pigment. A green hue may mean a high amount of solanine and the accompanying toxin chaconine. Because potatoes grow underground, light exposure may be minimal, which causes a less concentrated solanine and chaconine amount. If light levels are persistent, however, toxicity levels can be dangerous. The high starch content of potatoes also makes them difficult to digest raw as the granules or grains of the starch can crack. 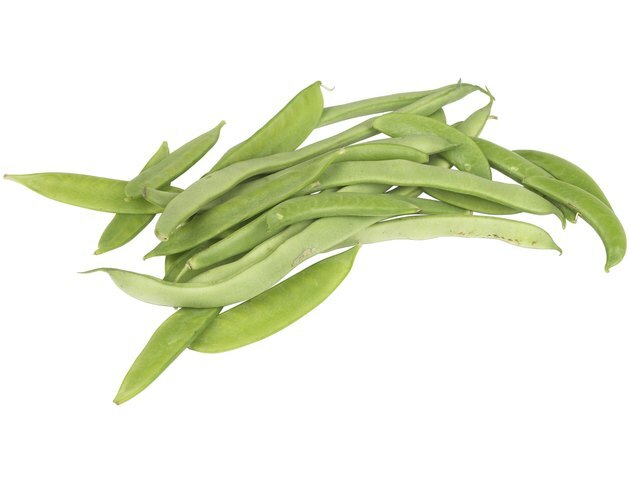 Some bean varieties, such as hyacinth and lima beans, are dangerous to consume raw. Hyacinth and lima beans contain cyanogenic glycoside, a toxic amino acid. This compound is part of the cyanide family and releases when the plant comes under attack, or when picked. To remove the toxin, it is necessary to soak and ground them. Nonetheless, poisoning will only occur if you consume a large amount of these raw beans. The New Complete Book of Food; Carol Ann Rinzler, et al. Food Chemistry; H.D. Belitz, et al.